I’m just back from a trip to Copenhagen. It’s famous as a city of cyclists: 52% of Copenhagers cycle to work or education every day, there are over 350km of cycle tracks, and cycling is growing faster year-on-year than any other mode of transport in the city. Although there are cyclists everywhere you look, there’s hardly a helmet or a lycra outfit to be seen. Cycling isn’t niche: it’s completely normal. For a cyclist from the UK, travelling around Copenhagen by bike is a wonderful experience. Drivers give way to you. You have your own traffic lights and flyovers. There aren’t even any potholes. 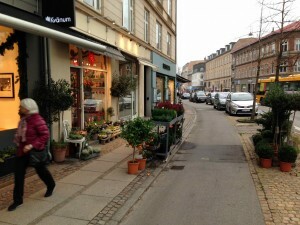 But for planners, I don’t think the big lesson from Copenhagen is about cycling. That’s just part of a much bigger objective: making a city that is pleasant and enjoyable to live in. Let’s face it, Copenhagen wasn’t given the accolade of the world’s most liveable city in 2013 and 2014 because it’s easy to ride around on two wheels. To quote Lance Armstrong, “It’s not about the bike“. Copenhagen is the world’s most liveable city – and recipient of many other ‘world’s best city’ awards – because it is a great place to live, work and do business. But what does ‘liveable’ mean? How do you make a city more ‘liveable’? Spend a few hours exploring Copenhagen and you’ll see a pride in good design of the city’s buildings, spaces and streets – the three main ingredients of physical urban fabric – that make me weep when I think of our disjointed efforts back in the UK. The quality of thinking that goes into the planning and design of the city is remarkable. It looks and feels so simple that I wonder why we can’t do it. Making Copenhagen ‘liveable’ revolves around a focus on the human scale: what works for people in their daily lives as they work, relax and move around the city. For me, ‘liveability’ is perhaps best embodied by the Danish word “hygge”. Translate hygge into urban planning and what do you get? Streets which are comfortable for people, as shown in the examples below from a short stretch of Strandvejen in northern Copenhagen. 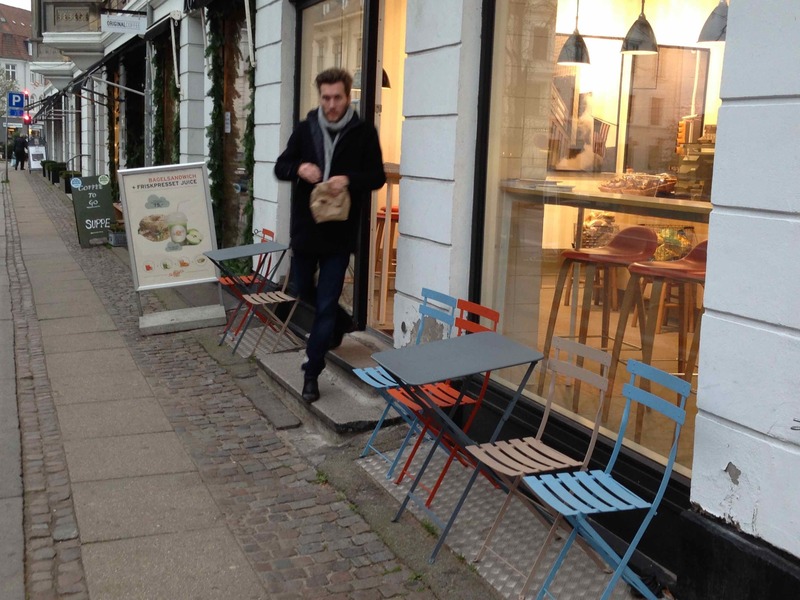 Copenhagen’s planners are actively supporting these kind of uses of public space, as outlined in the city’s strategy A Metropolis for People. For example, if a shop wants to spill out onto the pavement or a business wants to organise an event, the municipality’s default answer is yes. Play parks are refurbished not only with children’s play equipment, but also cafes and recreational facilities for adults. Old buildings are renovated with an eye on making buildings and spaces more interesting, so people spend more time in them – interacting with each other and using local businesses. And many other examples besides. The strategy’s three objectives for its public spaces are to encourage people to have more opportunities to do things in the city, to walk more, and to stay longer in the city’s spaces. Over the last 40 years, the focus for designing the city’s public spaces has moved from enabling necessary things like movement and shopping, to encouraging leisure activities like walking and cafes, and now to enabling businesses and people to do things in spaces – which could be anything from selling things to making music. Put all this together, and what do you get? Urban hygge: a liveable city. Copenhagen’s three objectives for its public spaces – encouraging people to do things, walk more, and stay longer – demonstrate an understanding that creating civilised and active public spaces also builds community, economy and democracy. I can’t think of better goals for planning. 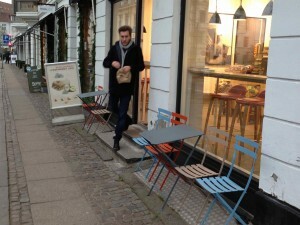 Glasgow is about to get a dose of Copenhagen-style planning. The City Council has commissioned Gehl Architects, authors of Copenhagen’s Metropolis for People strategy, to prepare a regeneration framework for Sauchiehall Street and Garnethill in the city centre. What if we used the concept of urban hygge as the basis of the regeneration framework? We couldn’t simply import Copenhagen hygge to Scotland – Glasgow might be on the same latitude as Copenhagen, but its personality is different, more gallus. And at the micro level, Sauchiehall Street and Garnethill should each have different urban hygges to reflect their differing populations and users – one focussed on nightlife and shopping, the other a residential and educational neighbourhood. In other words, the details might look different from the images of Strandvejen (above), but the purpose would be the same. Thinking about urban hygge could be a great way of encouraging collaboration between businesses, residents, planners, designers and the Council around the regeneration framework – so that everyone is involved in designing and delivering a better city. The ultimate result? A liveable city that promotes the human scale.